Aspire Global has developed original casino software and provided turnkey white label solutions since 2005. There are currently over 50 casinos in the rapidly growing Aspire network, run by more than 30 third-party operators across Europe. Here’s our selection of the best brands available in the UK, each complete with over 400 popular slot games. Goliath Casino has a huge range of casino games for you to choose from top providers like NetEnt, Microgaming, SG Interactive and Evolution. If you like your casino with a side of sport, Goliath Casino has a dedicated sport tab for you to bet on popular sports events like the Grand National and Wimbledon. Sign up to Kaiser Slots to unlock access to over 400 casino games instantly including classic table games as well as top slots including Gonzo’s Quest, Avalon and Book of Dead. Deposit £10 today using promo code KAISER to play with £20 and claim 10 extra spins on Starburst. Terms & Conditions: New players only. 18+. Min deposit £10. Bonus of £10 - 35x wagering applies to match up bonus. 10 spins received on Starburst. 50x wagering applies to spins. Full terms apply. Take a trip to Barbados Casino and get up to £200 bonus cash plus 100 free spins on Starburst. Choose from a massive assortment of casino games, including slots from top providers like NetEnt, Microgaming and Pragmatic Play. With super fast withdrawals and a generous VIP scheme, it really does feel like paradise. Terms & Conditions: New 18+ players only. Min deposit £20. Wagering requirement apply 35x. Offer valid for 72hr. 100 spins includes 3 deposit. Full terms apply. Sign up to TopTally Casino and tally up to £200 bonus cash and 100 free spins when you make your first deposit. TopTally rewards loyalty and once you’re climbing the VIP ranks, you’ll be treated to monthly cashback, express withdrawals and up to 50 free games to play every Sunday. Terms & Conditions: New players only. 18+. Min deposit £10. Wagering requirement apply 35x. Offer valid for 72hr. 100 spins includes 3 deposit. Full terms apply. Join the Karamba party to be rewarded with daily free spins, cashback and bonus cash to use on hundreds of modern casino games. Sign up and deposit to double your money up to £200. Sports fans are also catered with its inclusive sports tab with over 60,000 events to bet on with competitive odds and cashout options. Set sail for an epic adventure at Atlantic Spins for the full casino experience and play your favourite slots from top providers including NetEnt and Microgaming. If you prefer to sit at the live dealer table, you can also choose traditional casino games like roulette and blackjack. Deposit £10 to double your cash, plus get 10 free spins using promo code ATLANTIC. Terms & Conditions: New players only. 18+. Minimum deposit: £10. Maximum bonus £10 and 10 free spins on Starburst. Wagering requirement applies 35x. Promo Code: ATLANTIC. Withdrawal & full T&Cs apply. If you’re ready for a new experience, give Casiplay a go. New players are treated to up to £800 bonus cash and 100 extra spins across their first four deposits. With simple navigation, mobile-friendly design and hundreds of casino games, Casiplay is an excellent option for all casino players, new and existing. Terms & Conditions: New players only. 18+. Min deposit 20£. Welcome package split over 4 deposits 35x wagering applies to match up bonus. Which games can I play at Aspire Global casinos? Every Aspire casino contains slot games, scratchcards and live dealer options from over 30 software providers, including Lightning Box, Pragmatic Play, Microgaming, NetEnt, Evolution Gaming, Quickspin and SG Interactive. You’ll find your favourite slots like Starburst, Gonzo’s Quest and Thunderstruck II alongside plenty of classic live dealer versions of blackjack, roulette and baccarat. Karamba even has a sportsbook tab to satisfy sports fans. Can I claim a welcome bonus at multiple Aspire casino sites? It’s quite rare to find such a restriction imposed in this way as it limits the reasons for players to want to try other sites on the platform. However, this policy only applies to the welcome bonus and other promotions aren’t affected, including VIP rewards. Why play at an Aspire Global casino? 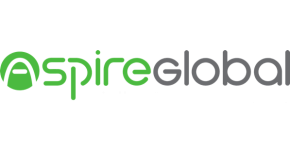 Aspire Global (formerly NeoPoint) is a casino software development company and white label provider, based in Malta. The company offers full iGaming packages to online casino operators which include casino and sportsbook management, customer support and multilingual CRM services. Aspire has secured six remote gambling licences from the United Kingdom, Denmark, Malta, Belgium, Portugal and Italy. The brand’s casinos are playable across Europe and player volumes are sometimes higher than sites limited to UK players. More players often drive higher profit margins for a company which can lead to better bonuses and larger jackpots. 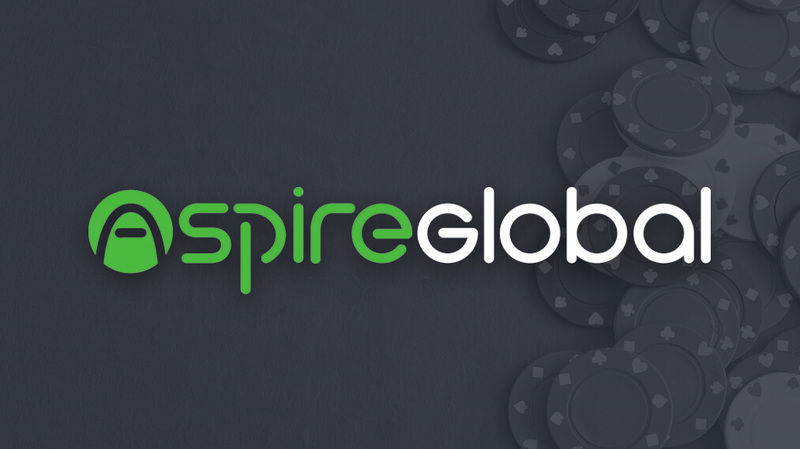 Aspire launched its sportsbook service in 2018, offering over 65,000 betting events per month with20,000 in-play options, on sites including BetRegal, Karamba and Goliath Casino. The Aspire Global VIP programme is identical across the network and features six VIP statuses: Bronze, Silver, Gold, Platinum, Premium and Prestige. Each level is achieved by reaching a set number of points or by personal invitation. One point is awarded for every £40 you wager and there are no maintenance requirements to retain your status. However, some VIP bonuses are only redeemable if you’ve deposited in the past 14 days. VIPs are awarded birthday bonuses, free games and access to live tournaments. As you climb the ranks, you’re treated to a free gift such as free spins or bonus cash every time you unlock a new level. Plus all other VIP bonus values increase. Platinum or higher level VIPs benefit from larger cashout limits, personal account managers and monthly cashback. While there are some similarities between the brands, larger sites like Mr Play, Casiplay and GoPro Casino have gone further to create unique sites, with exclusive welcome offers, custom designs and special promotions. 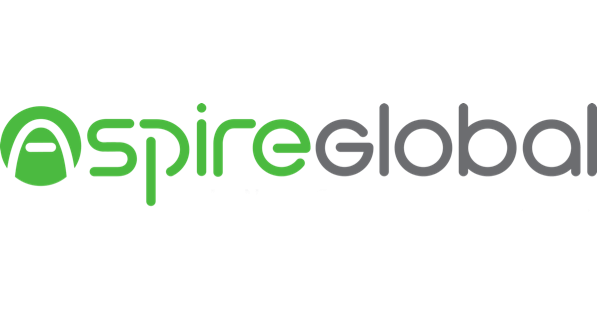 Aspire Global offers over 35 payment options across its six licensed jurisdictions, including popular eWallets like PayPal, Neteller and Trustly. Using an eWallet can reduce your cashout times to under 24 hours once a withdrawal is processed. All slot games and scratchcards on Aspire Global casinos have free play options, giving you the chance to try for free before playing with your real funds. Most slot games on Aspire casinos contribute 50% or less to meeting the wagering requirements, so satisfying them within the 21 day period is difficult. Although the sites are jam-packed with games, we’d like to see Aspire Global develop a range of exclusive casino games in the future to properly compete with powerhouses like Playtech and Gamesys. You have to choose wisely between Aspire Global casinos, as you’re limited to one welcome bonus throughout the entire network. Aspire Global casinos have a solid range of games, a comprehensive VIP programme and attractive designs. However, we’re not impressed by the hidden contribution terms and welcome bonus restrictions. If you’re looking for a casino to play your favourite slot games, then an Aspire Global casino may be for you. But, if you want to take advantage of generous bonuses and promotions, we’d recommend a Playtech or Dragonfish casino instead. Not only do they have lower (or zero) wagering requirements, but you’ll find a wider variety of exclusive games like the Age of Gods series and Millionaire Genie.